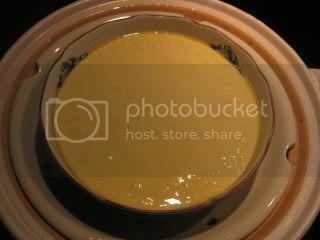 This is a party-style chawanmushi (egg custard) with chicken inside. 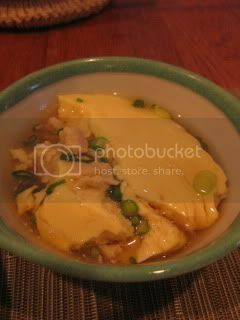 You can make it very easily in the donabe steamer, "Mushi Nabe". This dish is always a hit when people come over to our house. Chicken is seasoned with shio-koji, so it adds a nice deep flavor to the dish. Here's how I make it. 1. 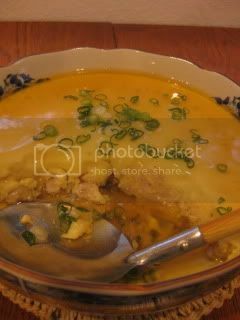 To make the egg custard base, whisk together 3 large eggs, 2 tsps mirin, 1tsp white soy sauce ("shiro-shoyu"), and 1.5C dashi stock. Strain through fine-mesh sieve and set aside. 2. To make the chicken base, mix together 5 oz ground chicken, 2 tsps shio-koji, 1 tsp juice from grated ginger, 1tsp sake, and 1T potato starch ("katakuriko"). 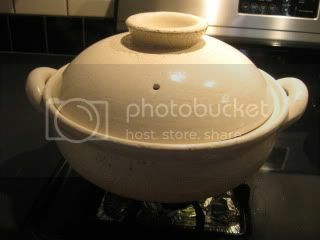 Transfer the chicken into a shallow ceramic bowl, which can hold at least 3.5C and can fit the donabe. 3. Gradually whisk in the custard mixture to the chicken in a bowl. Cover with a plastic wrap tightly. 4. Make sure the donabe is ready (water is boiling inside). Steam in the donabe for 30 minutes or until the custard is jiggly over low heat. 5. To make the sauce, in a sauce pan, combine 3/4C dashi stock, 1T sake, 1T soy sauce, and 1T mirin. Bring to simmer. Turn the heat down to low. 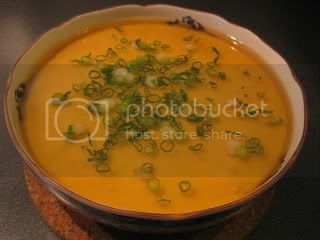 In a small bowl, whisk together 1/2T potato starch ("katakuriko") and 1/2T water, and whisk the mixture into the broth. Stir until the mixture is slightly thickened. Turn off the heat. 6. 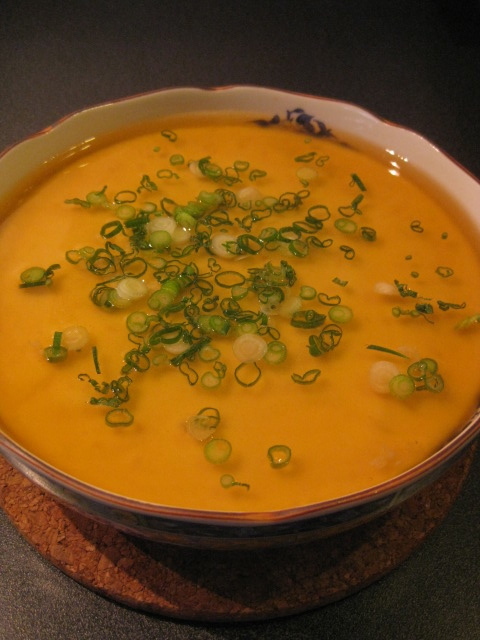 Take the chawanmushi out of the donabe and put on a trivet. Pour the sauce and sprinkle some sliced scallion. Serve immediately. *Be careful with the hot steam! Always use pot holders when handling the hot donabe. Among Jason and I, we can always finish the whole dish so easily. It's that good.